When you’re interviewing for a job, it pays for you to think like the hiring organization. But when you’re interviewing with a recruiter, it’s a different experience. What can you do to impress a recruiter in that first interview? It’s a tricky balance, since the recruiter is central to your success in the hiring process, yet they’re not the ones actually hiring you. But by employing a few new strategies, you’ll be well on your way to moving forward in the recruitment process and hopefully landing your dream job! 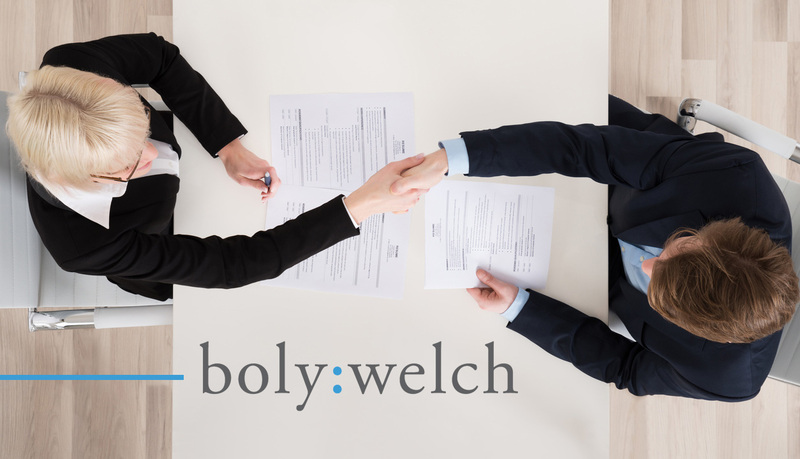 To learn about how to approach a recruiter interview, I sat down with Boly:Welch Senior Recruiter Jen Lind. We recorded the conversation as a bonus for students in my online course, Job Interview Essentials, but I wanted to share the highlights with you here. Jen and I discussed the basics of recruiting as well as tactical tips for job seekers to ace an interview with a recruiter. Before you get an interview with a recruiter, you’ve got to submit your resume. I asked Jen some common questions I get from job seekers about how recruiters work and what happens after you submit your application for a job through a recruiting agency. Q: I don’t really understand how recruiters work. What do recruiters do, who do they serve, and how do they make money? A: Recruiters help hiring organizations pick the right candidates for their open positions by sourcing, screening, and interviewing potential hires. Recruiters save employers time in the hiring process, and their goal is to match the right candidate with the right organization. If the recruiter recommends a candidate who gets hired and stays on, the hiring organization pays the recruiter a fee. Q: Once I’ve applied for a job through a recruiter, what happens to my resume? A: Your resume is routed to the proper department within the recruiting agency; they’re usually organized by different industries. If your resume shows you’re qualified for the role, a recruiter will contact you to find a time to talk. This is the start of the interview process! Now let’s move on to the interview with a recruiter! How is it different? I ran through a list of interview best practices with Jen, and she shared some specific advice for your in-person meeting with a recruiter. * Arrive on time. But also, don’t arrive too early. Recruiters are interviewing folks all day, and need to follow a strict schedule. Get there no more than 5 or 10 minutes early! * Dress professionally. Don’t make the mistake of thinking a recruiter interview is not a “real interview” for the job. “The way you show up to the interview with us, that’s the way we would expect you to be moving forward with the interviews with our clients,” Jen says, so dress to impress. * Bring a copy of your resume to show you’re engaged and prepared. * Be ready to talk about yourself, your experience, and everything you have to offer. Having your talking points prepared is often overlooked in recruiter interviews. Know your resume inside and out, and come ready to explain why you can do this job. * Show enthusiasm. Recruiters may not make the final decision on who to hire, but if you can convince them you’re the right person for the job, you’ll have a strong ally moving forward. * Have thoughtful questions ready. Take a different angle on the questions you ask a recruiter versus a direct hiring manager. While the recruiter may not have all the answers about the details of the role, they will know a lot about the hiring process. Research the recruiting agency and ask for more details about how they work and what their process looks like. * Send a thank you note. It can be a handwritten note or an email, but the follow-up goes a long way. The majority of candidates who interview with recruiters don’t say thank you after the meeting, Jen says, so it’s a pleasant surprise that helps you stand out. You need to find a way to show a recruiter that you’d be a good fit with the hiring organization. It starts with knowing your own work personality. * Recruiters are screening for culture fit. “A lot of things can be learned on the job or trained,” Jen says. “But you can’t train somebody to have the right personality fit.” Know yourself and apply with organizations that align with your values. * Show your culture fit in the interview. Do your research on the hiring organization and talk about how your own traits align with their priorities. * If the employer is confidential, learn everything you can from the recruiter in the initial interview. Jen says recruiters can share lots of information without naming the company, so ask about the industry, department, types of skills they want to see, and background about why they’re hiring. * Follow up. Especially when the market is competitive, it’s essential to communicate quickly and clearly with a recruiter you’ve just met. Tell them how you feel about the position you’ve applied for. If it’s not a perfect fit, Jen says, be honest about it! That will cement your relationship with the recruiter and they’ll be better equipped to find you a good fit. * Be honest about your work history and the things you want to accomplish in your career. This helps the recruiter connect you with the right opportunities! 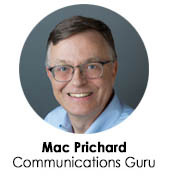 * Be proactive, clear, and professional in your communications with recruiters. There’s more! Watch the entire conversation here!